I am thrilled to announce that I will be speaking for the very first time at NeoCon Chicago this June! Please join me Tuesday, June 12th at 1:00pm for a joint panel discussion with two additional special guest speakers to round out this amazing session. 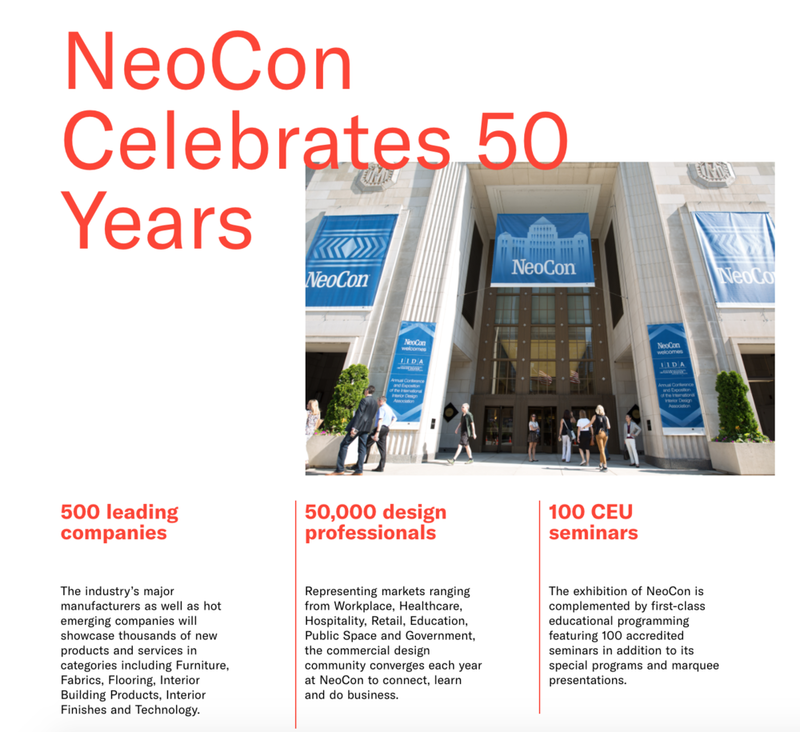 This is a special year for NeoCon as it is marking its 50th anniversary! It is truly an honor to be accepted into the NeoCon Speaker program for this monumental year and I am excited to see some familiar faces from years passed.